In this age of rampant consumerism and consumption, we're all for cutting back, de-cluttering and simplifying in all things -- except when it comes to Advanced Squad Leader! 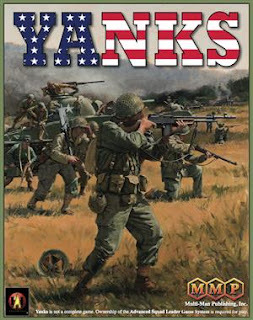 Case in point, regardless of the fact that we already own a copy of Yanks, we had to (yes, HAD TO) get a copy of Yanks Second Edition. And tonight we open it up with the same giggly, giddy glee (after all, it was In the Box) that we do with any ASL product. But even as beautiful as it was, it wasn't enough to sate our hunger for more. So, what to do? We decided to call on the fine folks at Bounding Fire Productions to learn what new goodies they're working on. We were lucky enough to catch Rick Reinesch and Sam Tyson for a 30 minute conversation about what's up at BFP.